1. Heavy Duty Paper Board. 2. Full-color to give you the best impression available on popcorn cup. 3. A polyethylene coating for outstanding leak resistance. Custom Printed Popcorn Buckets are the perfect choice when considering promotional items for events, exhibitions, seminars and concessions. With a large, fully brand-able surface, these are a great packaging item to enhance your brand image. 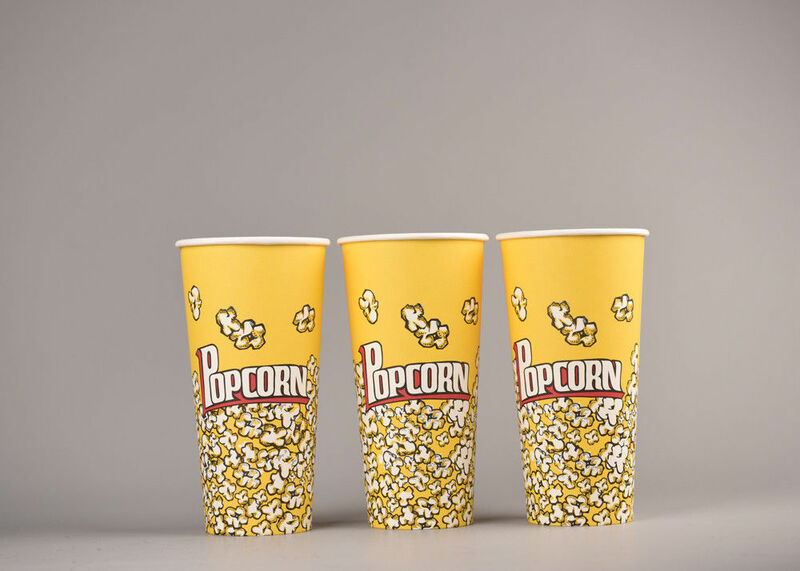 Custom Printed Popcorn Buckets are suitable for serving popcorn and other dry food items. It has a polyethylene lining for resistance to butter, grease, and moisture penetration, and is made of treated paper for resistance to grease penetration and leaking. The popcorn Containers best used for serving popcorn, chicken nuggets, chicken wings and similar dry snacks. Can be custom printed up to 4 colours.